Delta Maid is a Liverpudlian singer-songwriter who has immersed herself in Delta blues and gospel. Her debut album 'Outside Looking In' was released on Geffen Records in 2011. 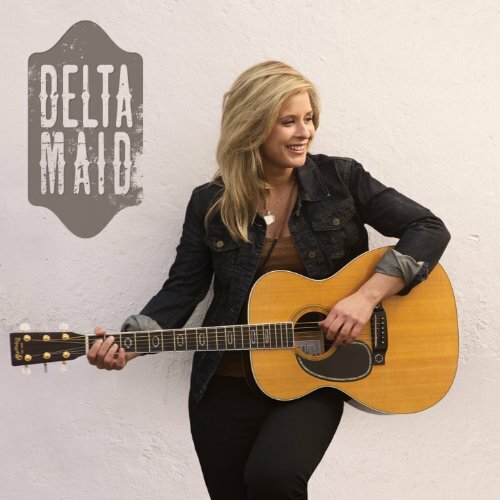 Delta has supported acts such as Ray Lamontagne, Bryan Ferry, Martha Wainwright and Ron Sexsmith and has enjoyed success as a hit songwriter in Nashville. Here she shares her songwriting tips. Do you have any tricks to get the creative juices flowing? Other than the usual things like reading, for lyrical work I really enjoy people watching in every day situations and try and draw from that. Absorbing stories and being receptive to others. Musically, I find listening to things I haven't been exposed to drags me out of my comfort zone. Do you find you normally start with a melody or lyrics? It's different every time, depends on what naturally comes first. Do you think that melody is the most important aspect of a song? I think the melody is hugely significant, it certainly draws me in from the off, but a song with a great melody and lyrics that can't move me won't make me listen a second time. It's the marriage of the two being great, in my opinion, makes a really amazing song. How long does it take you to write a song? Sometimes it can take me 10 minutes, others can be more laborious. Usually though, the ones that take the least amount of time are the best. Could you explain a little about the writing process behind a few of your songs? To talk a little bit about my past record, 'Outside Looking In'...I particularly like 3, purely because they mean the most to me. 'Anyway I Want To' - Lyrically this was inspired about a colleague I used to work with, and not the usually relationship song. I actually had the idea musically first just messing round with 3 chords, which is sustained throughout the whole song and is very simple, blues jazz. The girl I worked with knocked me down until I eventually mustered up the balls to get back at her. 'Footprints' - The music and lyrics came almost hand in hand to this one but it means a lot due to the sentiment. I worked in a nursing home for the elderly whilst I was in school and studying at uni. I was disheartened to see the way the older generation were overlooked by the younger, particularly through some of the experiences I had. I tried to write the song from an older perspective. 'When Love Grows Cold' - I was listening to a lot of folk music when I wrote this and I actually strum most of the song, when I ordinarily try and avoid that. It's about a relationship gone wrong, one I have witnessed, and a reflective piece again from someone else's perspective. What songs that other people have written do you particularly admire? There's too many to mention but some immediate that spring to mind…'The Kiss'- Judee Sill, 'What's Goin On'- Marvin Gaye et al, 'Rain'- Patty Griffin, 'Ex-Factor' - Lauryn Hill, 'Cry To Me'- Bert Berns, 'Fall At Your Feet'- Crowded House…could go on all day! Do you think that a technical knowledge of theory is important or does it get in the way? I wouldn't know, I don't really have any! Do you tend to revisit your songs and rewrite them? I find it difficult to revisit a song, I kind of know at the time whether it's good or bad, and I usually scrap the crap. Do you write songs with a view to being commercial and following current trends? Not for me, only ever in a brief or co-write session. Have you done much co-writing, and if so what do you see as the benefits? Done quite a bit of co-writing but not for me as an artist. The benefits I can see are exposure and more opportunity as a writer, the ability to learn the craft off others and if you're lucky, a little bit of money. Do you feel that when there's conflict/struggle in your life that it inspires better songs? Yes, definitely. I find it cathartic to write it out. Do you have any idea where you ideas come from? Like above, any experience that's making me think or feel something at the time. I tend to write about human emotions and relationships so when I'm exposed to any experience like this I find it easy to go there because it interests me. Do you have any advice you'd like to share with budding songwriters out there? Write. I have days when I feel insecure and don't want to write because I'm scared of what will come out. Then nothing gets done, force yourself to not avoid it and don't beat yourself up if nothing comes up, even though I'm super guilty of this. Also listen. Listening to different music will always muster some different thinking. Click on the following to find Delta Maid on the web.